A coronial inquest has begun into two deaths aboard the Japanese MV Sage Sagittarius - dubbed the "death ship". Chief cook Cesar Llanto disappeared from the ship on August 30, 2012. On September 4, engineer Hector Collado fell 11m to his death. Both are considered suspicious. The inquest has already heard allegations of homophobic abuse, gun-running and bullying. On October 6, five weeks after Mr Llanto disappeared, safety superintendent Kosaku Monji was killed in an apparent industrial accident in Japan. This is mostly out of the coroner's jurisdiction. After almost two years of investigation, Australian Regional Media can for the first time present the full detail of what happened on board the Sage Sagittarius. 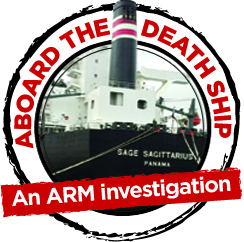 BASED on the crew's own statements on how three men came to die aboard the Sage Sagittarius depict a small number of men who have key knowledge, and face serious allegations, in relation to what happened on board. This is what you need to know, pulled from evidence given to Australian authorities and now to the New South Wales coronial inquest. Ceser Plete Llanto, 42 disappeared on the morning of August 30, 2012 as the Sage Sagittarius headed south along the Queensland coast bound for Newcastle. The Australian Federal Police and maritime authorities consider his death to be suspicious. There has so far been no evidence to suggest suicide, accidental death or a pre-meditated attack on the cook. Investigators did learn Llanto was helping a colleague named Jessie Martinez who claimed to be bullied by other crewmembers and targeted professionally by the ship's captain. Llanto had been on this latest contract with the Sagittarius for less than two weeks, after boarding on August 17. His death left his wife Nelia Mercado Llanto without a husband and two children Czar and Czarina, now 14 and 10, without a father. Engineer Hector Collado - who would die two weeks after Llanto - had earlier told his own family he was concerned about "the chief cook", creating a possible link between the two deaths. Llanto had argued with another colleague named Raul Vercede who had wanted Martinez to report the abuse. Llanto was against the plan. 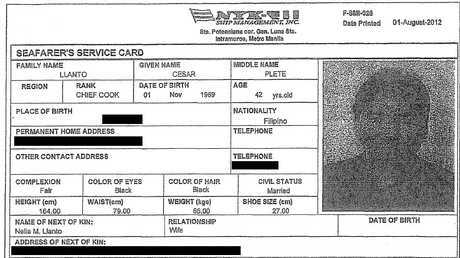 Jessie Llanto Martinez was 26 at the time of the deaths in late 2012. He arrived on the Sage Sagittarius as a kitchenhand or "messman"- his first job on a bulk carrier - on June 21, 2012 in Japan, having arrived from the Philippines. Martinez was allegedly bullied, teased and assaulted by ship captain Venancio Salas after being outed as gay, according to evidence given to the Australian Federal Police. These are allegations made by Martinez and other crew members. The Captain was also reprimanding Martinez for performing poorly in his role. In the weeks before his colleague Cesar Llanto was killed, Martinez had been considering making a formal complaint to worker advocates in Australia. An engine oiler named Raul Vercede helped develop the plan, although Martinez would never follow through on it. Martinez contemplated the consequences of reporting the alleged abuse, alongside other claims against the captain including gun-running, when the ship arrived in Newcastle. Llanto firmly and repeatedly objected to the plan. Complaints risked trouble not just from the person involved but for whoever helped Martinez get the job. Aboard The Death Ship pt1: What killed the chief cook? 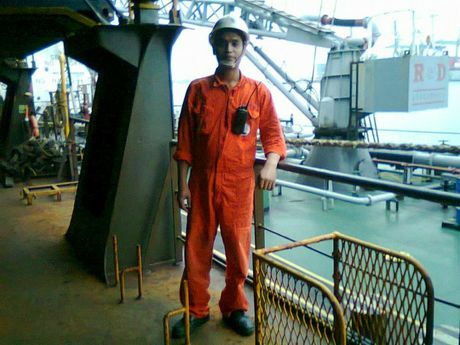 Raul Tunacao Vercede, 34, was an engine oiler aboard the Sage Sagittarius. Vercede joined the crew on June 21, 2012, at the same time as kitchenhand or "messman" Jessie Martinez and they formed a friendship. Vercede had been a seaman since 2009. After Martinez was allegedly targeted for bullying, humiliation and violence, Vercede encouraged him to make contact with the International Transport Workers' Federation in Australia, a global union working with seafarers. Vercede said he had contacts there. Raul Vercede before he began working aboard the Sage Sagittarius. The pair would report Captain Venancio Salas Jr's alleged attacks on Martinez, along with allegations of gun-running and delaying the ship's journey to trade alcohol for fish from a passing trawler. Crewmen told investigators Vercede was one of the few who refused to purchase a gun from the captain. Selling guns on board and secretly trading with a trawler are breaches of company policy. Vercede told Martinez a complaint could have them both returned to the Philippines with their contracts paid out in full. Martinez was reluctant but Vercede was adamant. Chief cook Cesar Llanto opposed Vercede's idea, saying there could be consequences. The two repeatedly discussed the prospect, always ending in disagreement. Martinez did not go ahead with the plan, instead reporting it to senior officers. Vercede's whereabouts at the time of Llanto's disappearance has been "partially corroborated" by the AFP. After the death, the captain told investigators he was frightened of Vercede. He ordered a crewmen to keep watch on both himself and Martinez. Martinez and Vercede shared a flight booked by the ship's owners back to the Philippines on September 9. Hector Collado, 55, was killed on September 14 at 8am after being struck in the skull then falling 11m while aboard the Sage Sagittarius. It is unclear what hit his head, but investigators say it was the fall that killed him as the ship arrived in Newcastle. Collado was a chief engineer who had spent 19 years entirely at sea since he boarded his first ship as a seafarer in November 1983. He left behind wife Rebecca along with his children and grandchildren. His death is considered suspicious. 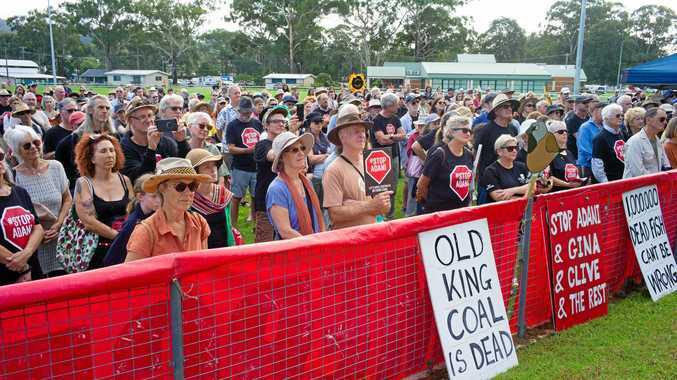 New South Wales police launched "Strike Force Barling" to investigate. 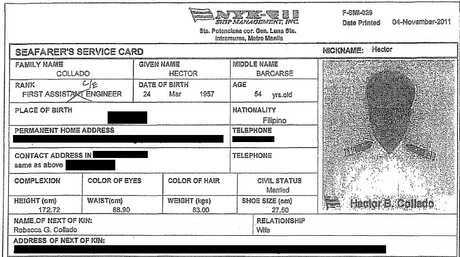 His family told the AFP that prior to his death, Collado told them he was feeling fearful aboard the Sagittarius. Collado's brother told officers that the engineer was helping a friend named Cesar Llanto deal with a problem on the Sage Sagittarius. Llanto vanished in suspicious circumstances two weeks before Collado. Mrs Collado called for an inquest by Australian authorities into her husband's death. 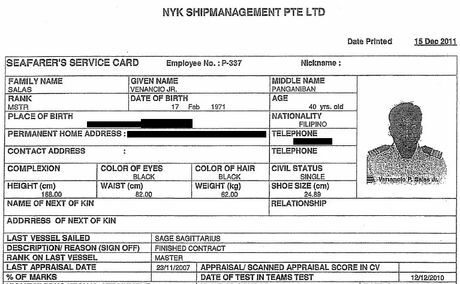 Ship owners NYK Line have offered Mrs Collado AUD$47,620 (1.7 million Philippine peso) in compensation on the condition that she waives any right to legal action. She has currently taken on legal representation. Venancio Panganiban Salas Junior, now 44, was captain of the Sage Sagittarius from February 2012 to September 2012, the period that two sailors - chief cook Cesar Llanto and chief engineer Hector Collado - were killed on board. He is the subject of allegations made by crew members aboard the Sage Sagittarius, including claims he physically and verbally abused a gay kitchenhand named Jessie Martinez. When he appeared at the coronial inquest into Collado and Llanto's deaths last week, he denied any wrongdoing. Salas told the Australian Federal Police he thought an engine worker named Raul Vercede might have been involved in the cook's death. AFP evidence suggests Vercede was encouraging Martinez to make a formal complaint against the captain. Martinez refused to go along with the plan. Salas has worked aboard the Sage Sagittarius since 2002, and acted as its captain since 2007. In 2010 was named Captain of the Year by employers NYK and Chief Naval Officer of the year in 2004. Colleagues told the AFP of Salas running a gun-selling racket on board the ship, and accused him of stopping in the ocean to trade alcohol to a passing trawler for fresh seafood. Each of these, if true, would damage his reputation as a captain. Prior to this latest trip on Sagittarius, Salas boarded at Abbot Point in August 2010. AN hour after chief cook Cesar Llanto disappeared from the Sage Sagittarius on August 30, ship captain Venancio Salas was on the phone to Hachiuma Steamship safety supervisor Kosaku Monji. Hachiuma manages the Sagittarius and is a subsidiary of NYK Line, which owns the ship. Monji told Salas to demand a formal statement from every crew member that was to be faxed to his Japanese office. It was this demand that left authorities questioning if Llanto's death was more than a suicide or accident. On September 1, Monji flew to Brisbane from Osaka then was delivered to the ship by helicopter on September 3. With him was his supervisor and two security guards. He joined the ship after Llanto's death to "look after the safety and mental health of the crew". Monji left the ship on September 8, but returned on September 17 followed the death of engineer Hector Collado, staying on board as it returned to Japan laden with coal. The ship arrived in Kudamatsu port in Japan on October 3 to begin unloading. Before dawn on October 6, Monji's body would be found crushed and mangled inside the ship's conveyor belt machinery. The cause of death would be "suffocation caused by chest compression". It was considered an industrial accident by the Japanese Transport Safety Bureau. In just five weeks, he would be the Sagittarius' third fatality - assuring its reputation as a "death ship". SAGE SAGITTARIUS - The so-called "Death Ship". THE 105,000 tonne Sage Sagittarius bulk carrier has been a travelling crime scene for more than two years. It is owned by Japanese firm Hachiuma Steamship and operated by related company Nippon Yusen Kaisha (NYK) Line. It carries coal from the Port of Newcastle to the southern Japanese port of Kudamatsu, the journey taking between 15 and 17 days each way. It is a 14-year-old ship, 243m long, 43m wide. Between August 20, and October 6 , 2012, three men were killed while on board the ship. The ship made one return trip to Australia in that time. The bulk carrier is one of thousands of ships that visit Australian port each year. The Sagittarius has previously visited Queensland ports in Gladstone and Abbot Point. At any one time, there may be 2000 hulks in Australian national and surrounding waters. The Sagittarius is registered in Panama, making it a "Flag of Convenience" vessel - a practise used in international shipping purportedly to save on costs and minimise scrutiny. A developing nation like Panama does not have the resources to investigate incidents to the same extent of richer nations. The Sagittarius is now on its way back to Australia after leaving Newcastle on April 28.